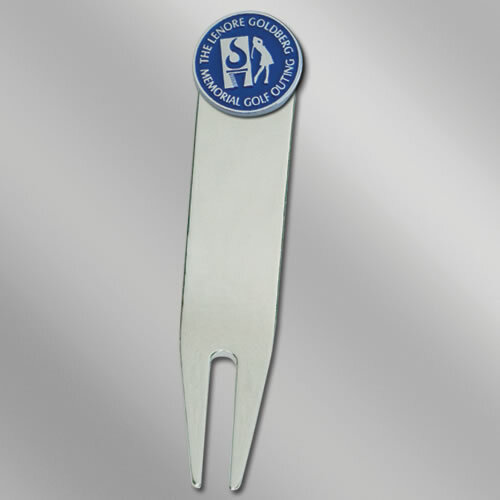 3" Golf Divot Tool comes with 11/16" Steel Enamel ball marker. Ball marker - up to 4 colors included in price. For 2nd side to ball marker add $.10(c) per unit plud $60.00(g) set up charge. We can die struck a custom decoration on the handle of the divot tool for a set up of $150.00(g) and $.10(c) per unit.